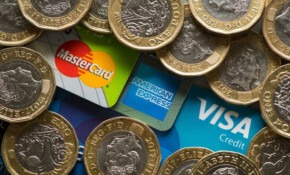 The TUC say that household debt is at crisis level and that years of austerity and wage stagnation has pushed millions of families deep into the red. OnTheWight has figures for the Isle of Wight. Figure reveal that more than £10,000 was spent on "paupers' funerals" on the Isle of Wight last year, as more families are unable or unwilling to cover the costs of their loved ones' arrangements. The government say Isle of Wight council has a duty to prevent homelessness, but according to estimates from a housing charity, hundreds of children on the Island will be homeless this Christmas. The number of Isle of Wight properties sold this year has fallen, as political uncertainty puts off potential buyers, says chief economist. Between August 2017 and July 2018 almost 3,000 houses were sold on the Isle of Wight, with prices increasing in September. OnTheWight has the details. An ageing population on the Isle of Wight is increasing the strain on a stretched adult social care system which receives 1000s of requests for help every year. Figures released by the DfE look at how many pupils on the Isle of Wight were classed as persistently absent in autumn 2017 and spring 2018 terms. According to figures from the Office of National Statistics, house prices on the Isle of Wight declined slightly in August. OnTheWight has the details. As news of yet another pub closing hits the headlines, the industry on the Isle of Wight could take a hit if beer duty is raised as expected next week. An official audit on one day in March this year revealed that around 30 people were detained under the Mental Health Act within the Isle of Wight NHS Trust. More than a third of adults receiving social care on the Isle of Wight are paying private providers to top up their support, new figures show. Five per cent more houses were sold on the Isle of Wight and the prices have risen by over 5.3 per cent in the last year, but they are still below the national average.